The BrotherMax Snack Pot Bowl has an easy-hold handle and is ideal for snacks. Its flexible soft lid is perfect for little ﬁngers and the easy-to-access ﬂexible lid is great for cereals, raisins, fruit, cheese and more. 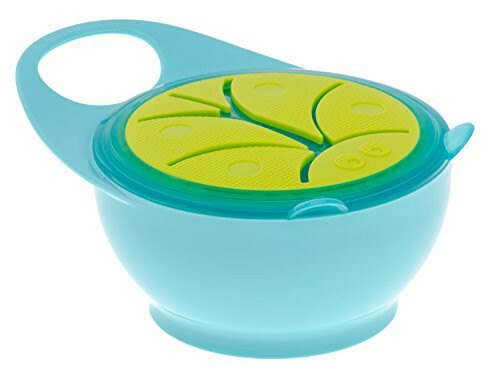 You can mix & match with our Weaning Bowl Set or remove the lid to use as a simple bowl for baby-led weaning and self-feeding. 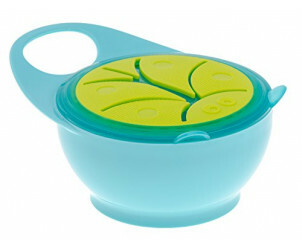 It’s BPA-free, Dishwasher and Microwave-safe and suitable from 9 months.